We are a group of like minded volunteers that share a passion for the Jack Russell Terrier breed. 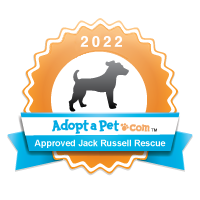 Through our rescue efforts, we rescue Jack Russells from various shelters throughout California. Many of the Jacks we rescue from these shelters are on Death Row and are scheduled to be euthanized within a few days. If we have an open Foster Home then we will accept a Jack into our rescue program from an owner needing to rehome their dog for a variety of reasons. For owners needing to surrender their Jack Russell with behavior issues, these cases are handled on an individual case by case basis. We do not accept aggressive Jack Russells or Jack Russells with a bite history. We do not have a facility that is open to the public instead we rely on our Foster Homes. Our Foster Homes are very valuable to Russell Rescue Ca. Our Foster Homes are people who open their hearts and their homes to a Jack Russell we have rescued. Foster Homes fill the gap between being rescued and finding a forever loving home for these dogs. Once a Jack Russell has entered our rescue program they are taken to a licensed veterinarian to be examined. Any and all health issues discovered are addressed, followed by the necessary treatment. We temperament test every dog before deeming them available for adoption. All dogs adopted through Russell Rescue Ca are brought up to date with vaccinations; micro chipped, and is spayed and/or neutered. Once placed in a Foster Home, using positive reinforcement methods the dogs are taught basic skills and socialized so they will be a valued member of the adoptive family. Once a dog is made available for adoption they are featured on our website. Our commitment to the Jack Russells we rescue continues beyond the signing of our Adoption Contract. We are available and encourage the adoptive families to contact us when they have questions, or if issues arise in the future. 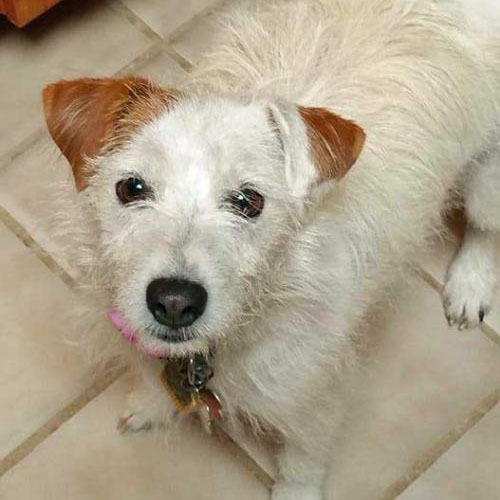 We will offer advice based on experience, training suggestions based on positive reinforcement methods, and behavior modification based on a true understanding of the Jack Russell Terrier breed.